The regular 7" release of "You Are The One" features a multicolour band-shot (Pål, Mags & Morten) by Just Loomis with a very noticeable parrot perched on Morten's shoulder. All writing has been printed in light blue colour, with the a-ha-logo placed in the upper mid-section and the song title plus "(Remix)" positioned in the lower mid-section of the sleeve. The reverse is white with a small picture of the "Stay On These Roads"-album and all additional writing in black. Justin Strauss is responsible for the 3:48-remix of "You Are The One" while the flip features the LP-version of "Out Of Blue Comes Green" (6:25). A limited edition 7"-release comes with a sticker plus a multicoloured drawn 7"-sized Christmas card, which has a personal message and autographs of the band members printed inside. Very often this record comes shrink-wrapped. The 12" features a multicolour band-shot as well, but the parrot has been omitted and the band members have switched places (Mags, Pål & Morten). The positioning of the logo and the title is similar to the 7" edition, but the colour of the title has been changed to light green. The reverse features information on the additional Justin Strauss remixes "12" Remix" (6:25) plus "Instrumental" (4:00) presented in a layout similar to the 7"-release. A limited edition 12" picture disc features three individual multicoloured shots (Pål, Morten & Mags) from the same photo-session separated by white strips. The logo is identical, but "You Are The One 12 Inch Remix" has been written in white capital letters on a purple background. The reverse is light grey and offers a huge a-ha-logo with purple "a's" and a light blue "h". The song titles and WB-logo are in purple as well, while any additional information has been printed in black letters. 12" promotional copies with three different remixes by Justin Strauss come without a picture sleeve. The previously unreleased "Dub Version" (7:18) constitute the track listing along with the 7" and 12" remixes from the regular release. The 3" CD comes in a 5" jewel case with a black plastic adapter. The sleeve is similar to the 7"-release. The reverse of the insert is white with a small colour picture of the album "Stay On These Roads". 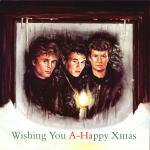 The German made CD is silver coloured with dark grey titles, "a-ha" and WB-logos. The tracks on the CD single are the "7" Remix" version of "You Are The One" plus album versions of "Scoundrel Days" and "Out Of Blue Comes Green". Brazil: A 12" promotional disc in blue and black WEA-sleeve contains tracks by Tiffany and Debbie Gibson as well as the a-ha track. France: Otherwise identical, the French 7" has the title of the single printed in pink capital letters above the light blue a-ha-logo. There is also a French 7" test pressing which comes in a plain card sleeve and has a hand written white label and large hole in the centre. 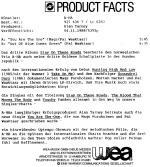 Germany: Some promotional copies of the German release come with a WEA Product Fact Sheet with information in German about the band. The single was released in Germany on 4 November 1988. 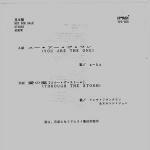 Japan: There is a Japanese promo 7" which has the song "Through The Storm" by Aretha Franklin (or Elton John??) on the B-side. It comes in a printed sleeve and with a lyric sheet. 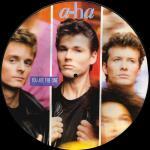 The 3" CD single (released March 1989) comes in a snap-pack with a white sleeve and a large pale blue a-ha-logo right down the right hand side. 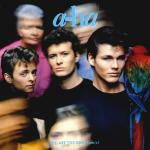 The top half has a picture of a butterfly resting on a hand with a blue a-ha-logo above. 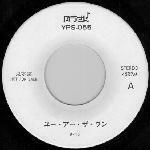 The bottom half has a much smaller blue a-ha-logo and red and black Japanese text. The reverse of the sleeve is white with black text including the lyrics (in English and Japanese) and a tiny black and white picture of the album. The CD is silver coloured with red WB-logo and black titles. There is a second 3" CD of "You Are the One" which also comes in a snap-pack It is produced exclusively for the company "GATSBY" and is a limited promo CD. 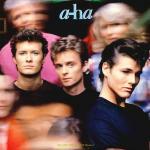 The top of the sleeve has a group picture with "a-ha You Are The One" printed underneath and the bottom half has 4 small pictures taken from the video shoot. It came with a limited edition promo Gatsby-video. The Philippines: The 7" has a jukebox hole in the centre and has a dark beige striped label. The interesting thing about this release is that the B-side is "Hurry Home". The track lengths are given incorrectly as 4:38 and 3:48 respectively. It comes in a company sleeve. Spain: The 7"-promo has the same track on both sides and features a unique sleeve. 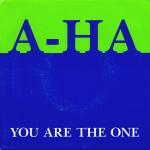 The front is blue with light green at the top, blue "A-HA"-logo and "You Are The One" written in white along the bottom. 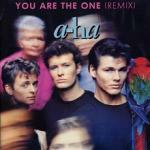 The back is similar to the front but "You Are The One" is written under the "A-HA"-logo and there is additional white text. "Ejemplar Gratuito Prohibida Su Venta" is written in blue letters in the top left corner of the back of the sleeve. France You Are The One(12" Remix) / /Instrumental / Out Of Blue Comes Green 921 120-0?